Stock # 5104, 3.6L Pentastar VVT V6, Automatic, 74450 km. You deserve a vehicle designed for higher expectations. This Dodge Grand Caravan delivers with a luxurious, well-appointed interior and world-class engineering. There is no reason why you shouldn't buy this Dodge Grand Caravan Crew Plus. It is incomparable for the price and quality. 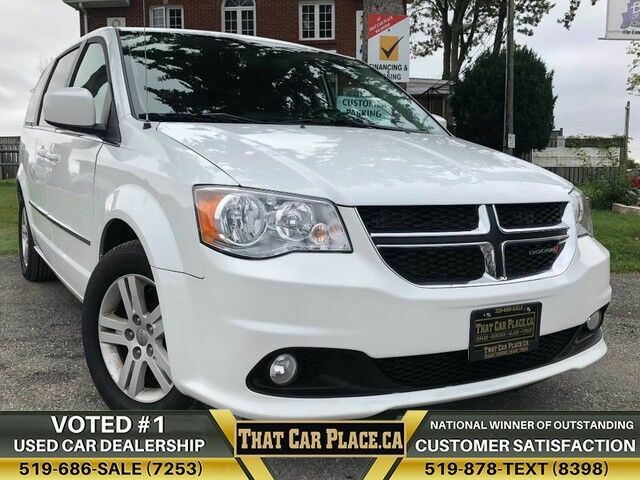 There are many vehicles on the market but if you are looking for a vehicle that will perform as good as it looks then this Dodge Grand Caravan Crew Plus is the one! You can finally stop searching... You've found the one you've been looking for.